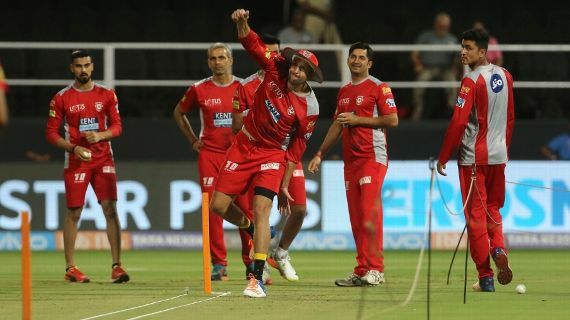 In their first home game of the season, Virat Kohli, the Royal Challengers Bangalore captain, chose to bowl against R Ashwin’s Kings XI Punjab. The RCB captain felt the Chinnaswamy surface “was back to being normal”, suggesting that he expects the game to be high scoring. Chris Gayle, this time part of the Kings XI squad, returned to the city he once represented for six years, but was left out of the team. Aaron Finch, having arrived after his wedding, was drafted into the Kings XI team in place of David Miller. Kings XI will look to increase their dominance over RCB after beating them both times last season. Their 50% win-loss record at the Chinnaswamy is marginally better than RCB’s win percentage of 48.3.